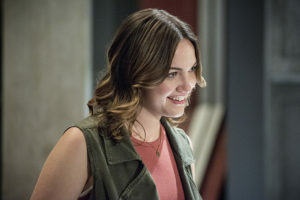 So, how did The Flash do in the overnight ratings last night? The show had a 1.0/4 in the Ages 18-49 demographic but had only 2.63 million viewers. Still not too great, but still good for The CW, especially considering heavy competition. Final numbers will go up once DVR and other things are factored in. The Flash beat both of FOX’s Tuesday offerings in the same hour, so, they’re the ones with bigger problems. What did you think of “Magenta?” Come talk about it on our forum for the show!